Geo-Targeting on the move - Nothing to Hide? 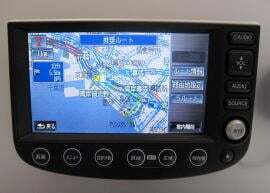 Heres an interesting thought, have just been reading about some new GPS sat-nav systems for cars launched in Tokyo. Not only are they on a hard-drive as opposed to a disc, but can be connected via phone (assume this could become wi-fi or WiMax before too long). Their idea is for real-time updates of maps and locations. My idea is for real-time adverts inserted within the map system, something I projected in an earlier blog. Obviously geo-targeting or location based advertising is one thing – but linking it to a mobile phone, where you could post a text to the car would be another. Consider how your child could text your car, and then your GPS could lead you to them, in the same way as Taxi’s currently work in connection with their control centres.